Happy Fri-Yay, Belles & Beaus! Today is my last day at Tractor Supply and I’m really feeling it. I brought my box that I keep my office supplies in with me and it started getting so surreal. I had started dismantling my stuff at my desk earlier this week in preparation and I still can’t believe today is my last day. But on to new adventures! But today on the blog, I wanted to talk about my favorite book. Okay the post suggestion says book but I don’t have just one favorite. I have three. Well, there are probably about seven more I could add to this list, but I’ll leave you with these three just today. If you want to see more of the books I’ve enjoyed, then feel free to head over to my GoodReads page and check them out. 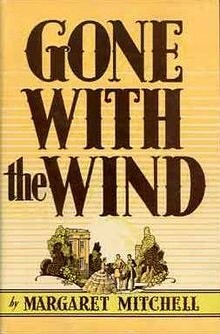 First book on my list is Gone with the Wind. Yes, I know the subject matter can be questionable at times. But it’s truly one of my favorite books because the Pre-Civil War South called for women to be quietly strong but docile and obedient. Scarlett O’Hara is anything but in this book and I channel the good parts of her personality on a daily basis. This was Margaret Mitchell’s worldwind book, boasting double columns of script in it due to the length of the book. A first edition copy in today’s market – in good condition – would fetch over $1 Million USD. I did a whole twenty page paper on this book when I was a sophomore in high school. Mitchell modeled the three main men in the book off her relationships with her own three husbands. Second is A Time To Kill. 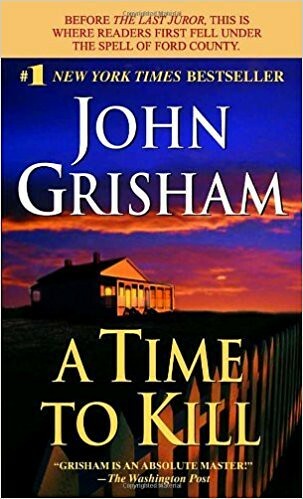 I was introduced to John Grisham in my freshman honors English class when we read Bleachers. I decided I liked the that it was written so I picked up A Time To Kill the next time we were at the book store. I devoured it in a week when I could get a moment to read. The movie is very true to the book in my opinion, but the book seemed to move me more than the movie did. It was a truly a good read and shows how the South – despite desegregation and the Civil Rights movement – still hasn’t changed. And to be honest, it will take a big eye opening problem to show that the South needs to. But you have those that don’t care about color – because in the end we’re all the same under our skin so why do we make such a big deal on color? I’m digressing! It’s still one of my favorite novels and I fully plan to read it again when I get done with the books I currently have started. 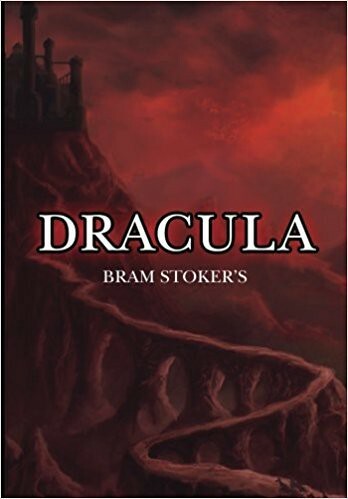 Last but not least in my favorite vampire novel, Dracula. Now most people don’t like it because of how it jumps around so often, but I’ve always found it easy to follow because it’s all the same story line. That tends to make it just a little easier. I also give this book a lot of credit for me being able to read books that jump around with multiple different narrators. Game of Thrones has more narrators than Dracula does. I think the main reason I enjoy this book is how they portray his story. Stoker seems to have pulled from the history of the actual Lord Vlad the Impaler. I say this because if it weren’t for him, the Turkish Empire would have probably invade Rome and other countries. Could you imagine what our world would be like if that had happened? What differences would there be? But there you have it, my three of my favorite books. I swear there are more, but it would take way too long of a post to cover them.